Welcome to my website. here you will find decorative lighting unique in many ways. Derek Marshall is both designer and manufacturer of dramatic contemporary lighting. 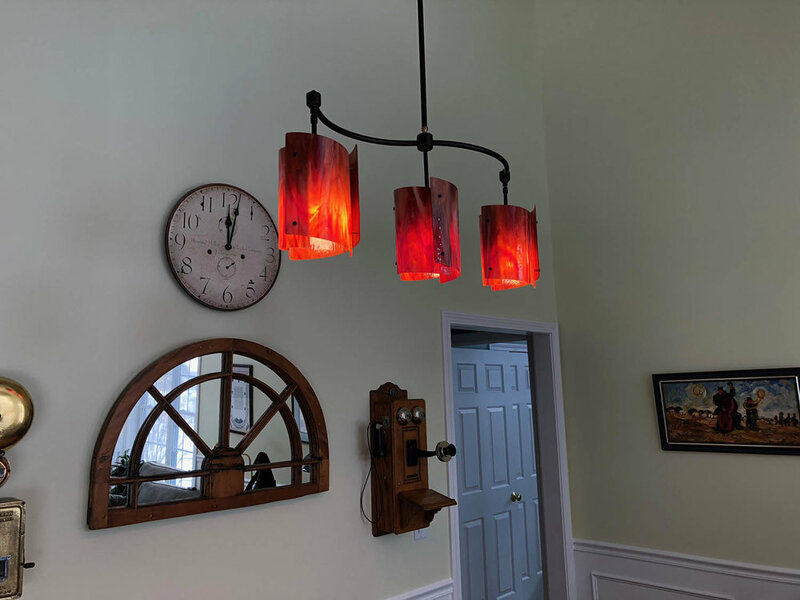 Our lights have been installed around the world where people are looking for exquisite design coupled with durable engineering that will withstand the passage of time. We make every piece by hand, and every piece bears my personal signature. Click on the links to view our collections of chandeliers, wall sconces, and single pendants. We carry an extensive line of American made art glass, and all designs can be produced with any glass you choose. Be sure to look at the glass image pages. Our customer service is unequaled, and to that end we are happy to send you samples of any of our glasses for your personal inspection, at no cost. 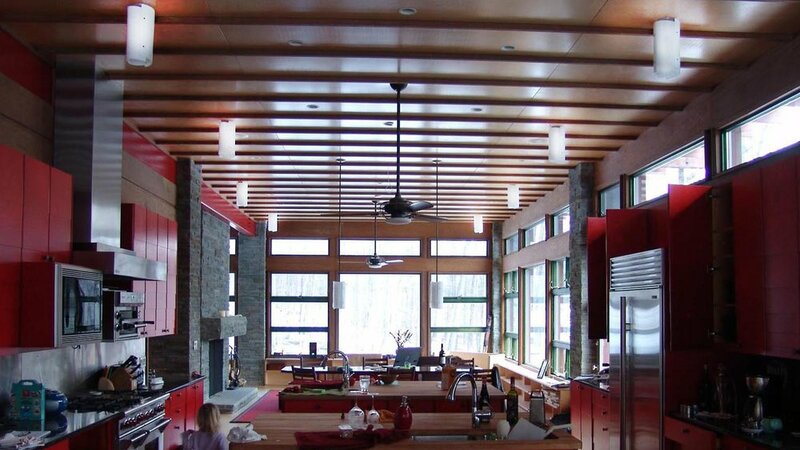 Call us or email us any time with questions or requests for glass samples. Look around our website for some stunning lighting that will add a dramatic sparkle to any interior space. All our lighting is made to your order, with care and skill. 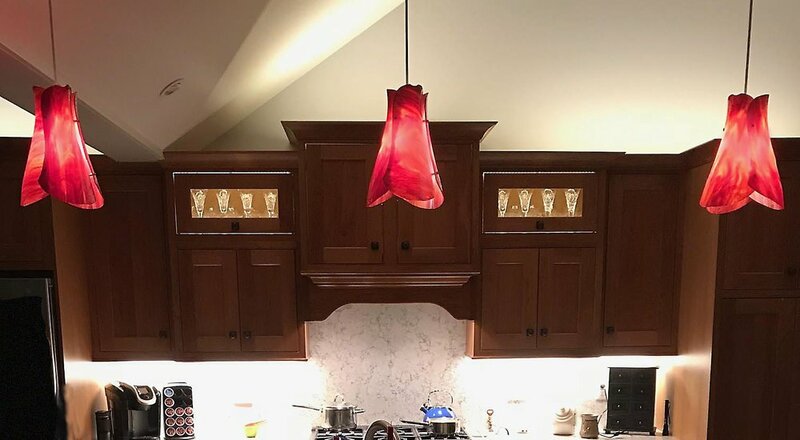 With many designs and glass colors and textures, you will find a tremendous selection of decorative lighting to augment your interior designs, whether for the home, restaurants, clubs, or medical facilities. We have done them all. Here are some recent installation photographs. Wall sconces to use as ambient light in rooms, hallways, bathrooms or any other interior space where you want to add a focal decorative element. 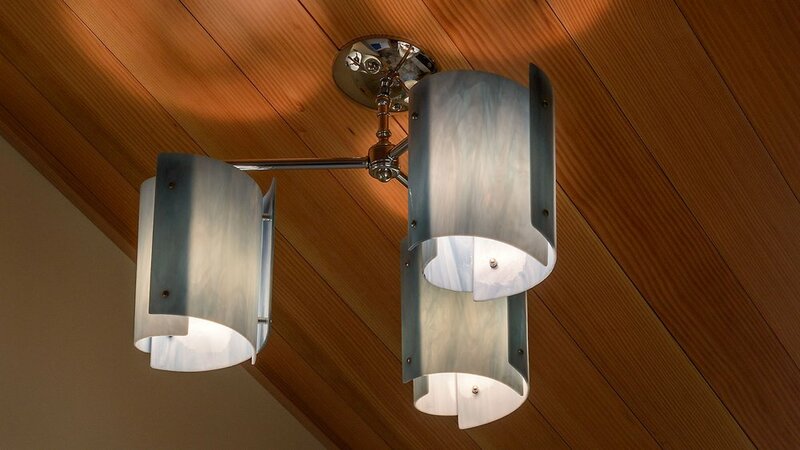 Single pendant lights which may be grouped into island lighting in kitchens or dining room. Chandeliers which are assemblies of our single pendants mounted on a variety of unique armatures for strong ambient light and dramatic focus in dining areas, great rooms, meeting rooms or any place that benefits from a strong design element with a potential for excellent task, decorative and ambient lighting. We offer a lot of design options. Please call us to discuss your needs. I have been making useful things all of my life. I make things that I like. If you like them too, then that is a good thing. Within certain parameters I can adjust my designs to fit in with your plans, but basically my work springs from my head. This does not happen quickly and what you see here represents several decades of work. But this is exactly what I enjoy doing, and making my lighting for you is what motivates me. I have made my work for many, if not most, places on the globe. We are where architects and interior designers come when they need something special, the jewelry that sets off an interior space, whether for the home, the office, restaurant, hotel or even a medical facility…we have done them all. More information on my background is available here, should you care.